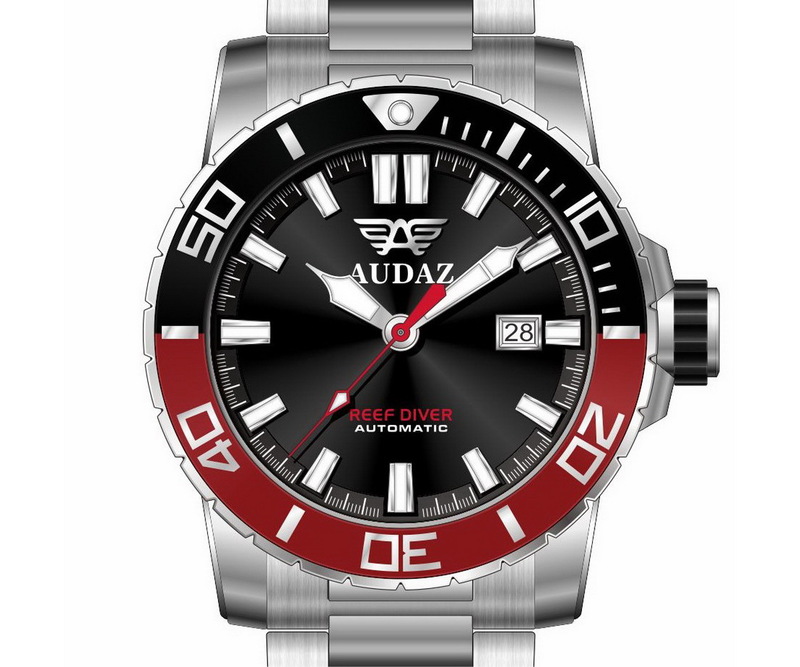 Audaz have just extended their new REEF DIVER collection to include a further two models. 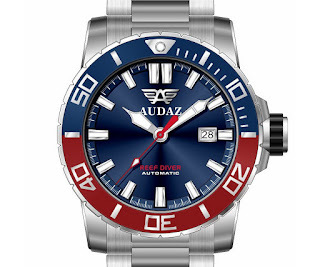 The first model has a blue and red Pepsi-style diver’s bezel with matching blue dial and red Reef Diver text while a second model has a black and red bezel and a black dial also with red Reef Diver text. The Reef Diver’s KICKSTARTER campaign is well underway and gaining momentum. Those interested in the Reef Diver will be able to take advantage of a Super Early Bird Reward allowing you to pick up the NH35A variant for 269USD while the ETA2824 can be had for just 439USD. 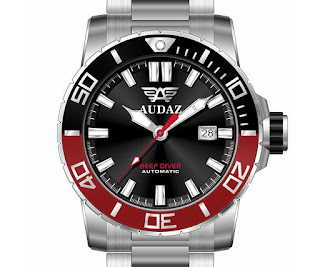 The Reef Diver includes a free silicon divers strap plus FREE Worldwide shipping.